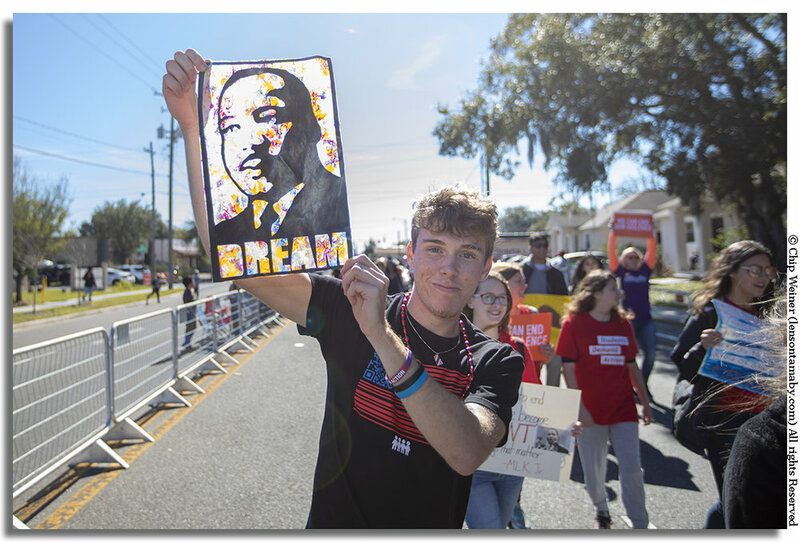 Several thousand people gathered today north of Ybor city to celebrate Martin Luther King day parade. The weather was sunny and cool, the music had a good groove, and the energy was high! The Buffalo Soldiers organization was in the house with their float and a large group of representatives. Families line the parade route sitting together, cheering on the parade, and of course waiting for beads! Most of the Tampa mayoral candidates were present, including City Councilman Harry Cohen. Speaking of Tampa mayors, Bob Buckhorn has had eight years to get his bead throwing arm in shape. The spirit of the day is captured by this large group promoting the message of Dr. Martin Luther King Jr. Parade Grand Marshall Dr Paulette Walker in her red sunglasses and red attire rides in a red convertible! 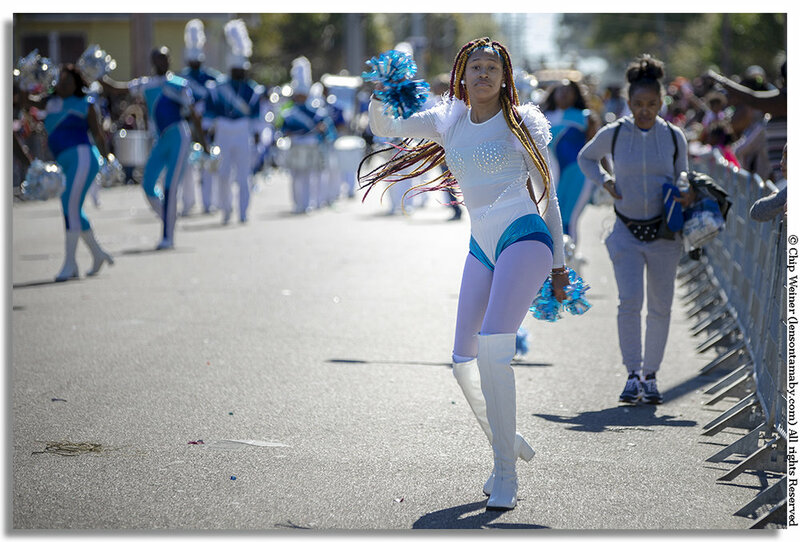 A member of The Band Marching Unit from Baltimore Maryland shows her moves. There was a strong police presence in some areas, but according to some news reports, less than last year.